Intekhab Alam Munshi, a resident of Vasai area in the neighbouring Palghar district, had approached the high court last month after his plea for anticipatory bail was rejected by a sessions court. 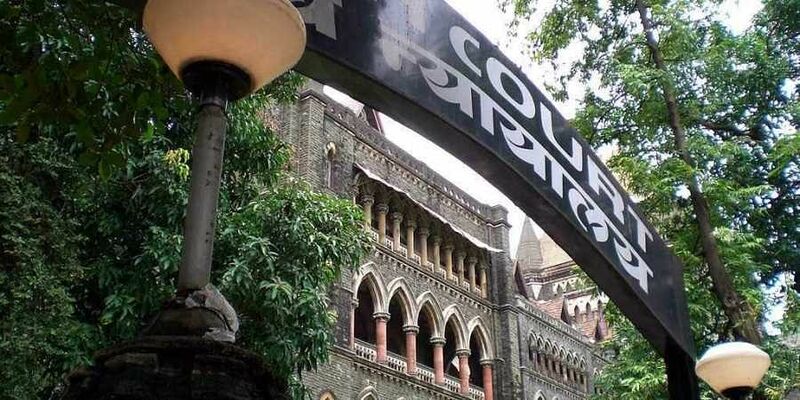 MUMBAI: The Bombay High Court Tuesday granted anticipatory bail to a man accused of giving his wife instant triple talaq, saying it was not for the court to decide the matter at this stage. Intekhab Alam Munshi, a resident of Vasai area in the neighbouring Palghar district, had approached the high court last month after his plea for anticipatory bail was rejected by a sessions court in Palghar on November 21. The sessions court had rejected his plea on the ground that the investigating officer (IO) in the case needed Munshi's custodial interrogation to ascertain whether the divorce proceedings, initiated by him earlier this year, amounted to triple talaq, a practice banned under the law. However, a single bench of high court presided over by Justice P D Naik held Tuesday that it was not for the court to decide at the stage of anticipatory bail proceedings whether Munshi's divorce proceedings amounted to triple talaq. "This is a case of matrimonial dispute. The custodial interrogation of the applicant (Munshi) is not required as most of the probe at this stage depends on documental facts," Justice Naik said while allowing Munshi's plea seeking protection from arrest in the case. The judge, however, imposed certain conditions on Munshi's bail, including a direction to him to report to the IO each Saturday for two hours for the next two months. According to the FIR registered in the case, Munshi and his wife got married in 1998. On September 22, while his wife was at her parents' house, Munshi sent her a divorce notice bearing his signature and the signatures of a lawyer and two witnesses, stating that he did not see any scope of reconciliation between them and therefore, was annulling their marriage. The wife claimed that the notice was equivalent to instant talaq or triple talaq, also known as 'talaq-e-biddat' that is now prohibited under an ordinance. The lawyer and the two witnesses who signed the notice have also been made accused in the case. The lawyer was granted anticipatory bail by a local court recently. Munshi claimed before the trial court and the high court that he had not initiated any proceedings under triple talaq. Instead, he had sent his wife three notices between July and September under the proceedings of 'talaq-e-ahsan', the legal marriage annulment process for Muslims that includes room for reconciliation, he said. But advocate Amin Solkar, the lawyer for Munshi's wife, denied having received the previous two notices. Solkar argued that since the ordinance banned instantaneous divorce, Munshi's divorce notice must be considered as illegal and void by the court under the new law. Justice Naik, however, refrained from making any prima facie (on the face of it) comments on the nature of the divorce notices. The Union Cabinet had in September approved an ordinance to ban the practice of instant triple talaq, with Law Minister Ravi Shankar Prasad saying there was a "compelling necessity" to bring the measure as instances of 'talaq-e-biddat' continued unabated despite the Supreme Court striking it down. Instant triple talaq, also known as talaq-e-biddat, is an instant divorce whereby a Muslim man can legally divorce his wife by pronouncing 'talaq' three times in one go. Under the proposed ordinance, instant triple talaq has been declared illegal and void and will attract a jail term of three years for the husband.